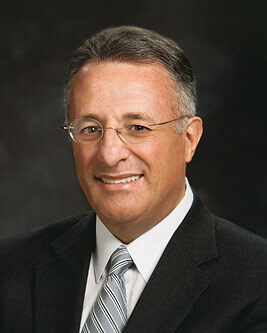 Ulisses Soares is a retired accountant and auditor and currently serves as a general authority of The Church of Jesus Christ of Latter-day Saints. He was sustained as a member of the Quorum of the Twelve Apostles on March 31, 2018, during a Solemn Assembly. Soares was born on October 2, 1958, in São Paulo, Brazil. His parents, Apparecido and Mercedes Carecho Soares, joined the Church of Jesus Christ when he was about five years old. He earned his bachelor’s degree in accounting and economics from the School of Economic Science-PUC (Pontificia Catholic University) and later his MBA from INPG (National Institute of Postgraduate Study). He was called to the Quorum of the Seventy on April 2, 2005. At the time of his call, he was working for the Church departments of Physical Facilities and Welfare Services in Salt Lake City. He had also been director of temporal affairs in the Church area office in São Paulo, Brazil. Prior to that, he had been an accountant and auditor for a multinational corporation in Brazil. In January 6, 2013, he was named a member of the Presidency of the Seventy. He was president of the Portugal Porto Mission from 2000 to 2003. He has also served as a counselor in the Africa Southeast Area and has served as a counselor and president of the Brazil South Area. He and his wife, Rosana Fernandes, are the parents of three children. This page was last edited on 13 October 2018, at 14:17.